Your story plus my story, become our stories. 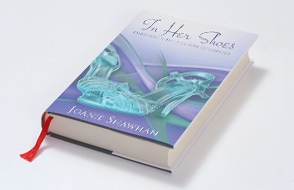 Joanie's new book, In Her Shoes: Dancing in the Shadow of Cancer is now available. I am delighted you dropped in for a visit. Get comfortable, settle in, grab a cup of tea. I hope that you will step through this Internet portal and find encouragement, support and helpful tips as you navigate the currents of cancer and chemotherapy. Whether you are already engaged in a battle against cancer or struggling with a new diagnosis, maybe you will identify with my story and those of other women who have traveled along this path. Perhaps you have stopped by in search of encouragement for a loved one. I welcome you as well. May God bless and strengthen each one of you as you learn to dance in the shadow of cancer. I’d love to hear from you. After browsing my site, visit my contact page and leave me a note. 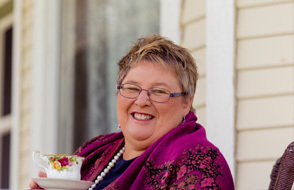 Joanie Shawhan is an ovarian cancer survivor and a registered nurse. She writes encouraging articles for women undergoing chemotherapy and is available for speaking engagements.. The book release is coming soon. Please stay tuned for more details. 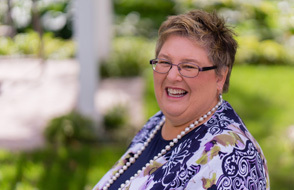 Do you have an event that could benefit from having Joanie speak and share her experiences? Introduction to blog section here.